Experts remain optimistic about the future of Iran-Europe trade despite Donald Trump’s decision to reimpose US sanctions on Iran. Some suspect that hopes for a return to normal banking relations had been dashed long before the US president’s announcement. It was no great surprise when Trump announced this week that he would pull the US out of the Iranian nuclear deal. After all, on his campaign trail, he had called it everything from “disastrous” to “the worst deal ever negotiated” and has repeatedly said that dismantling it would be his “number one priority”. Nevertheless, his announcement has caused huge concern for the stability of the Middle East region, as well as for those businesses all over the world that took the lead in entering the Iranian market after the nuclear deal – officially known as the Joint Co-operative Plan of Action (JCPOA) – was agreed between Iran and China, France, Russia, the UK, US and EU in 2015. In his speech, Trump repeated his harsh rhetoric towards the JCPOA, calling it “a horrible, one-sided deal that should have never, ever been made”, before announcing that the US will be instituting “the highest level” of economic sanctions against Iran. Those already conducting activities in the Middle Eastern country will now be given three to six months to “wind down” those activities, or they “risk severe consequences”, the White House said in a statement following the president’s announcement. Meanwhile, other experts have a more optimistic take on the news. “I think this is the best outcome that Iran could have hoped for because it eliminates the uncertainty. That was the worst situation, when investors, politicians and so on just didn’t know where the US stood, and it created a cloud of confusion and uncertainty,” says Parham Gohari, co-founder and head of consulting at Frontier Partners, which advises corporations on investments in the Iranian market. The announcement effectively brings the US back to its sanctions regime pre-2016, before the JCPOA was officially implemented. 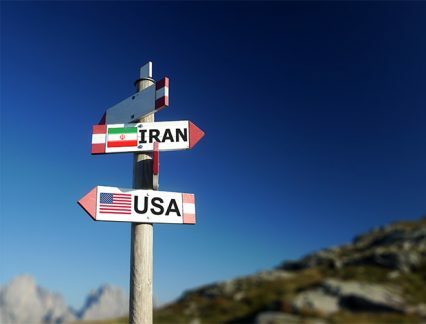 New sanctions will not only prohibit US persons or companies from conducting any trade or investment in Iran (in fact most of those sanctions were already in place under the JCPOA), but will also punish any non-US firms engaging with both the US and Iran, through secondary sanctions. “These sharp regulatory changes will certainly affect a range of US and non-US companies, particularly but not exclusively in the commercial aircraft industry and its supply chain, in banking and finance and in the energy sector,” says Nelson Dong, senior partner at law firm Dorsey & Whitney. He says the US could decide to revoke the OFAC specific licenses that had already been issued to Boeing and Airbus in late 2016. According to Janet Kim, a Washington DC-based partner at Baker McKenzie, the US government will likely reinclude the approximately 400 Iranian companies and individuals on its sanctions list (also known as the specially designated nationals/SDN list) that had originally been removed as part of the JCPOA. But for many banks and trade financiers in Europe, the news will bring little change to their business, given that most of them have not had any engagement with the Iranian market at all – even under the JCPOA. “Many of the world’s largest banks have already been operating as if they were in the pre-JCPOA days, so the practical impact for them might actually not be so significant,” Kim says. The cautious approach of European banks to re-establish links with Iran has, to a large extent, to do with the US sanctions that remained in place under the JCPOA. In effect, trade finance and the movement of money across Iran’s borders remained a huge challenge to achieving the trade boom that it was hoped the nuclear deal would deliver. But there have been some attempts. Last year, Austria’s Oberbank and Denmark’s Danske Bank each entered into framework agreements with a number of Iranian banks to provide financing for Austrian and Danish companies exporting to Iran. They were reportedly the first European banks to sign such agreements in the country. France’s Bpifrance also said it was planning to provide up to €500mn in buyer’s credit for Iranian companies importing from France, starting this year. The moves were considered of huge symbolic significance, and it was hoped that other European banks would follow suit. GTR contacted all three banks to ask where Trump’s new announcement leaves their plans. Danske Bank responded to say that it had decided “months ago” to phase out its engagement related to Iran because the “operational and reputational risks associated with doing business in Iran have increased”, explained Kenni Leth, group press officer at the bank. Trump’s announcement, it seems, will not have any kind of impact on its operations. “This decision was taken also on the basis of the somewhat more negative attitude from the US administration towards Iran. We want to make sure that we under no circumstances are in conflict with international sanctions towards Iran,” Leth said. While Oberbank did not wish to comment on Trump’s announcement, it had previously confirmed to GTR that its framework for export finance projects in Iran was put “on hold” until the bank had received further “clarification from the US in order to get a clear view for the future”. Despite the gloomy forecasts from commentators around the world, Gohari at Frontier Partners is “cautiously optimistic” about the future of Europe-Iran trade, saying that companies and banks with minimal exposure to the US will be able to continue their efforts – and in an even stronger market position than before. While Trump has thus far shown little mercy towards the non-US companies that have entered Iran under the JCPOA, it is still unclear what penalties they will face from the White House should they continue their operations there. This includes the likes of Renault, Siemens, Vodafone and Total, who have made billions of dollars-worth of investments in Iran. In an interview in March, as reported by Reuters, Total’s CEO Patrick Pouyanne said the firm would seek a waiver from the US authorities should Trump pull out of the JCPOA. It came after the French energy giant signed a billion-dollar contract last year to help develop the South Pars gas field, making it Iran’s first deal with a European oil company in more than a decade. Experts also point to the fact that the remaining signatories could keep the JCPOA in force if they have the political will to do so. Kim at Baker McKenzie, for one, says the next big question is what other governments, particularly European countries that are part of the JCPOA – France, Germany and the UK – which have stated their intentions to uphold the agreement, will do to help companies that want to keep working with Iran. “European governments may urge their companies not to pull out of Iran, but companies will want to know what their governments can do to protect them from secondary sanctions by the US. SDN designations – and the threat of them – are a very powerful weapon,” she says. A counter-reaction would not be unprecedented. In 1996, when the US imposed some of its first sanctions against Iran, the EU adopted a blocking statute that made it illegal for any EU company or person to comply with those US sanctions. Europe could do that again. For now, Trump’s ‘allies’ in Europe are in favour of holding up their side of the deal.